CORNWALL, Ontario - The Rotary Club of Cornwall served up some smiles at their annual Pancake Day and Silent Auction this Saturday, March 25. 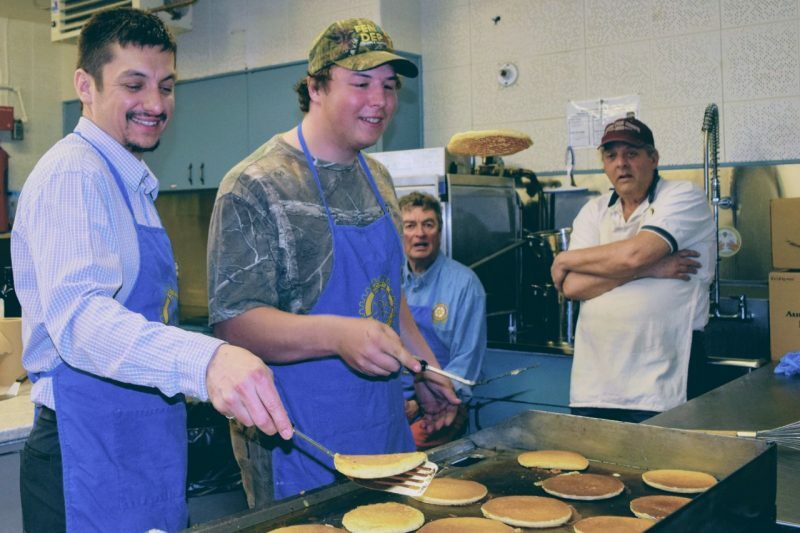 Treasurer, Tom Wallace said that while the weather outside was frightful, it didn’t stop people from lining up for the locally famed all-you-can eat pancake breakfast, which took place at St. John's Presbyterian Church. The event has been a longstanding tradition in Cornwall, having begun in 1975. “It originally started as kind of a public relations event to give back to the community for the support they gave us and still do,” said Wallace. The event also featured a silent auction with all items donated by local businesses. Typically drawing upwards to 500 people, Wallace said that pancakes likely wouldn’t be on the menu for a while. With over 40 volunteers, or Friends of Rotary; helping with food, silent auction duties, and collection of funds, Wallace says that the Friends play a critical role in the success of these events. “They help where they can, and it makes our day much easier,” said Wallace. For more information on the Rotary Club of Cornwall, visit www.cornwallrotary.com.